Tonight began an all-new season of “So You Think You Can Dance”. The show has entered its fifteenth season this year and was celebrating their birthday by starting auditions off in Beverly Hill, California. The city has always welcomed them and judges were showing some of that appreciate right back when tonight they had Twitch on as a judge. Twitch began his own journey on the show in this city and was happy to do that now for someone, so they started the night with Marina. Marina comes from Ukraine and was a modern dancer who had a bit of an eerie vibe to her. She hid her face throughout the beginning of the dance and that had made it seem like she was dedicating her dance to the movies series that all began with “The Ring”. But surprisingly her hiding her face through the first part meant that when she did show her face it actually added to the dance. Marina, as it turns out, was more than just a dancer because she gave a great performance and so that won her a ticket to the Academy. The next one up was Gavin. He liked to go by the named “Rated G” and hailed Las Vegas, however, the judges had a few critiques for him when he broke into Hip-Hop. He was good and there was a lot the judges enjoyed. They just felt he took away from his good points by not holding certain positions for long and the constant jumping. He was jumping all around the stage and so the judges felt they would have to smooth out those rough edges for when he too went to the Academy. The next one up was actually a group. Three people with various connections to the show had decided to try to win the judges over with a three-person ballroom group. They were Marcus, Magdalena, and Allen. Allen had made it ahead on the show once before and he had to pull out at the Academy because he became injured. Now Magda had danced with Marcus’s brother when they tried out for the show and the brother made it into Top 4 while Magda’s journey was much shorter. Therefore, they all had something to prove. They decided to do that by giving a sultry performance and like expected there was a downside to there being the three of them – there was just one breakout star. The breakout star was Allen. Everyone loved Allen and so he was the strongest while Marcus was perhaps the weakest. Marcus wasn’t as dramatic and people often lost him in the dance. Only the judges still liked them because all three gave a worthwhile performance and so all three were going to the Academy, but there were some that made it through to the next round and weren’t highlighted. So there was good news and bad. One of those that received bad news was Taylor. Taylor hailed from Texas and was inspirational because she was dancing a prosthetic leg. That must have been hard learning to dance and the many years she put into it showed because she did have clean lines as she performed modern dance. The judges even said they thought her dance was lovely only they didn’t feel it was strong enough for her to get ahead in the competition. They denied her the ticket to the Academy and told her to keep working because they genuinely believed with a little work that she would be ready one day. The next one up, on the other hand, was someone that was never going to allow the judges to tell her to come back another day. Jay was a Drag Queen whose stage name was a bit unpronounceable and there was no stopping her on the stage. She said wherever she goes she turns it up and she did just that on the stage. The One True Queen was a delight to watch and while there were things she could improve on, the judges were ultimately pressured into sending her to the Academy. They knew that Jay would learn and even if she didn’t that wouldn’t rule her out from returning to the show. The next person highlighted tonight happened to be a familiar face. Alexis from Riverside had gotten eliminated after a group routine at the Academy and so she used that time away to train. 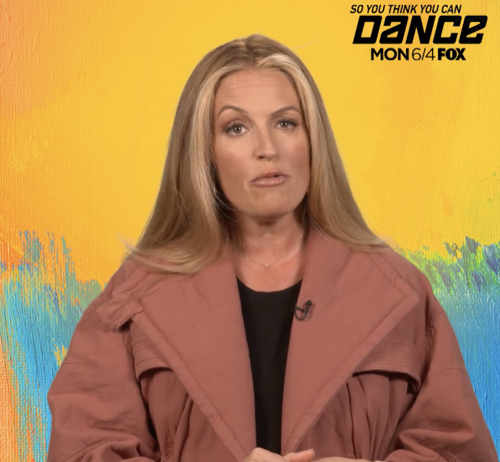 She trained in Hip Hop, Modern Dance, and even Ballet because she wanted to come back a stronger competitor and so the judges were in for a treat with her. Alexis gave them a treat by showing everything she learned and how she had improved, so the judges were full of praise for her and were happy to give her the ticket to the Academy. They were reminded of Twitch when he came back a stronger competitor and look at him now. The next one up tonight was Eddie. Eddie was from Boscawen, New Hampshire and he turned to Tap because it was the only time he felt he could truly express himself. It had been for him to come out as a gay. He needed dance to help him cope and Eddie became a great tap dancer. He was amazing on the stage and he was the only person to receive a standing ovation from Nigel. Nigel enjoyed everything about the dance and he respected Eddie just a little bit more when he heard the young man choreographed his own routine. Nigel was impressed that he even talked Twitch and Eddie into a Hip Hop/ Tap collaboration which was a great way to end the night. And so before the show ended with Night One of Auditions, the judges handed over Eddie’s ticket to the Academy.